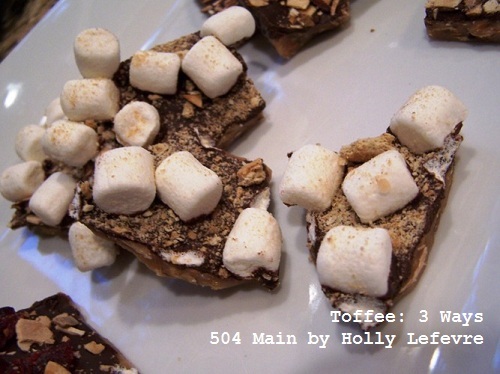 504 Main by Holly Lefevre: Toffee: Three Ways to Goodness! This excerpt was written by a man named Geoff who travelled the United States by train or any other means available back when the term Hobo was used for this kind of life. OK - let's acknowledge "hobo" is not a PC term any longer. But here's the deal, the recipe comes from Geoff and he refers to himself as a hobo - so in my book, a hobo he will be called! Toffee (Hobo Style) ever since. A recipe with a story - the best kind! So, it is not my original recipe (and it sounds very similar to most of the toffee recipes I have seen) and I don't know Geoff - another mom contributed this to our cookie exchange. 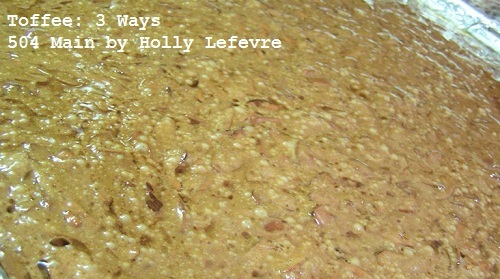 I do love the story that accompanies the recipe - be sure to see his quote at the end! I assure you you can do this - I shy away from candy thermometers and such but this was pretty simple and oh so good! 1. Coarse chop EXACLTY 2 cups of nuts and place in a bowl. 2. Measure EXACTLY 2 cups of sugar and place in bowl with the nuts. 3. Finely chop 1 cup nuts, set aside. 4. Line a (rimmed) cookie sheet with aluminum foil. 5. Melt 1 pound of butter in a sauce pan on medium-low heat. 6. Once the butter is melted, add the sugar and nut mixture. NOTES: The first time I made it, I over cooked it...it still tasted good but you could see the butter "residue." I never saw "smoke" and kept stirring. Geoff recommends using a timer. The last batch I made I used a timer and set it for 8 minutes 30 seconds. At 8 minutes, I turned the heat off, gave it a stir, and then poured. 9. Once the mixture is spread evenly, sprinkle the chocolate chips all over and let them melt on the hot mixture for about 1 minute. Spread the melted chocolate with a spatula. 10. Sprinkle the finely chopped nuts on top and press down lightly. 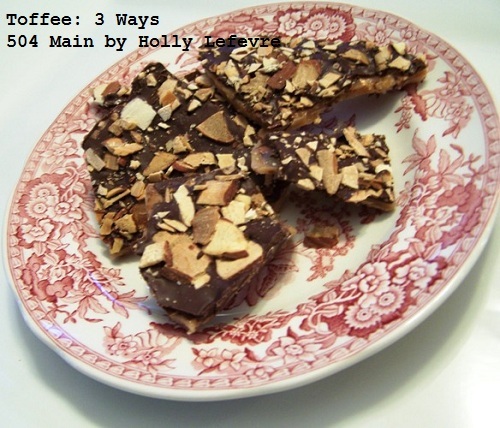 You may notice I was being lazy - Imean efficient...I wanted a few different types of toffee but did not want to make full recipes of each...so I pressed all three variations into one tray. 11. Allow to cool completely before breaking it into pieces. Add one tablespoon real vanilla extract to the butter when melting. 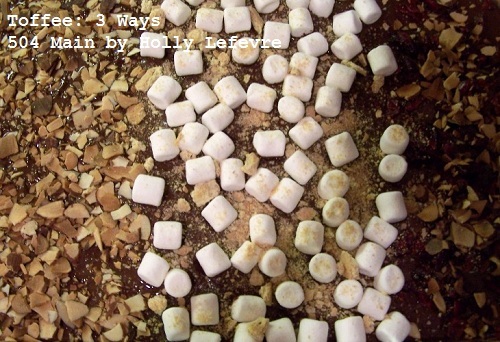 Mini marshmallows and crushed graham crackers. sweet times when you didn't have a care in the world. Don't share it with just anybody, it's too good for that. 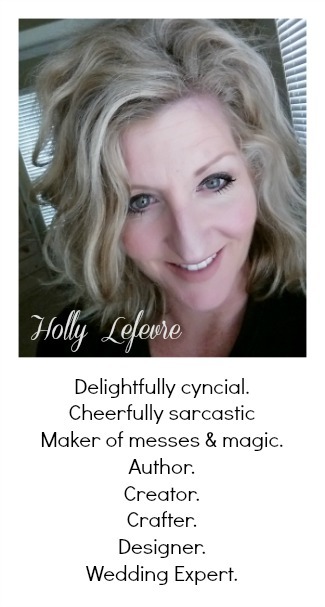 Holly, sounds absolutely delish! I'll have to give it a try - problem is I wind up eating so much of what I cook, esp the sweets! 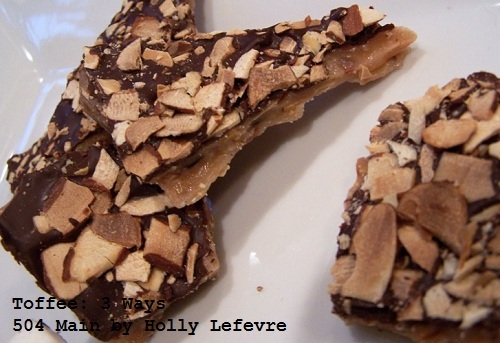 Toffee is on my list of things to make this year...if I don't run out of time! Mmmm! Looks and sounds delicious! 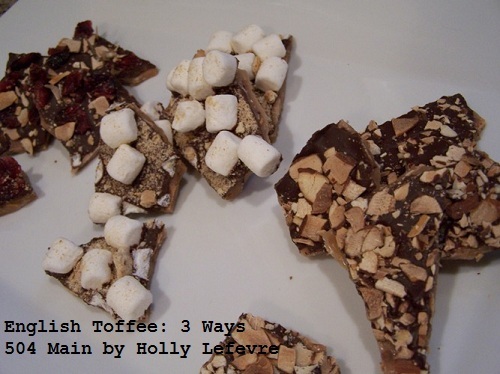 I haven't made toffee before but it definitely looks doable! What a great treat this would be! Love the varieties Holly! !